The Site Manager is responsible for ensuring that all Sysco off-site manufacture and installation works are scheduled and executed in line with the agreed programme and in accordance with production engineering documentation and Sysco standards. The Site Manager is the primary point of contact between the Sysco project delivery team and all other site based project stakeholders. To acquire a thorough understanding of project requirements and objectives including, but not limited to: financial, technical, schedule, construction coordination, materials, personnel and scope of work. To ensure that the off-site manufacture and installation of each sub-system is in line with the Production Engineering documentation. To work with the Production Engineer and Project Manager to find solutions to unforeseen manufacture and installation challenges. To Quality Assess off-site and on-site works and communicate with internal and subcontracted labour where improvements need to be made. To ensure that all physical off-site and installation works are completed and handed over to the Commissioning Manager and engineers in a complete and functioning state. To agree with the Head of Operations and Project Manager appropriate installation resources and skills to complete the off-site build and installation on programme and budget. To liaise with all other trades and project stakeholders to coordinate our works and ensure they are kept informed of progress and installation challenges. To supervise all installation works ensuring that all staff are fully briefed in all technical. programme and safety matters relating to Sysco on-site works. To ensure all labour is used efficiently and safely to deliver the installation in line with the project Programme of Works. To report to the Project Manager daily on the installation status and any delays, issues or accidents that may have occurred. To oversee and document all off-site production and testing and issue to the Production Engineer. To ensure complete “as-installed” information is passed to the Production Engineer in a timely manner. To liaise with senior site manager to ensure that all company Health & Safety requirements are followed by all on-site staff. 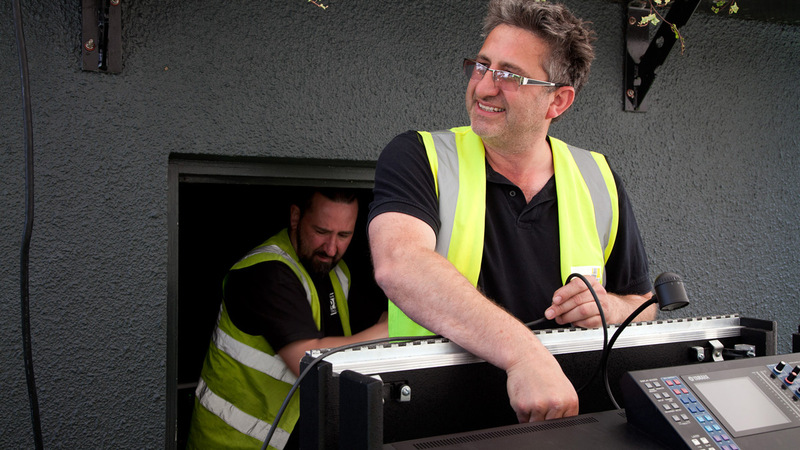 A highly experienced Site Manager or with over 5 years’ experience managing and installing audio/visual experiences. Proven track record of delivering high profile projects within associated markets. IPAF and PASMA licenses preferable. Proven team player with leadership skills including the ability to coach and energise others. Strong mechanical and technical installation skills. Strong technical understanding of audio/visual equipment and systems. Ability to work across multiple sites at any given time.